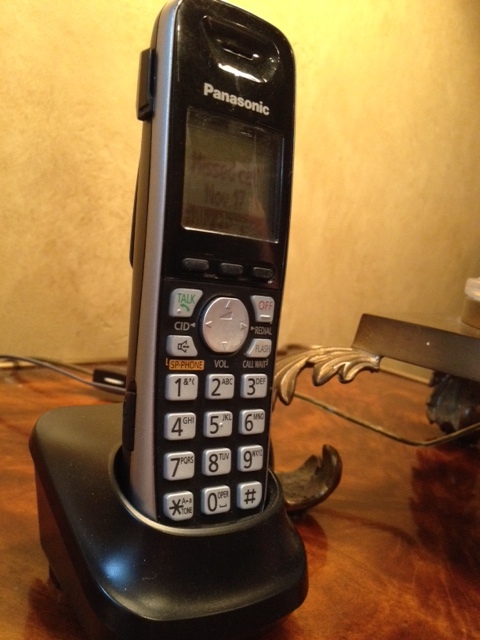 The phone trilled, cutting through my fifth episode of “Duck Dynasty” like a screeching fishwife. On the third ring I grudgingly picked it up. I mean, it’s 2013. Why do we even have this?? “Hello? It’s Mrs. Alma. I’ve got some satsumas for y’all. I’m coming over.” Click. Five minutes later, my petite, sweater-clad neighbor rang the doorbell. She held a hefty Wal-Mart bag of the sweet orange citruses. With surprising speed, the octogenarian darted back to her home down the cul-de-sac. 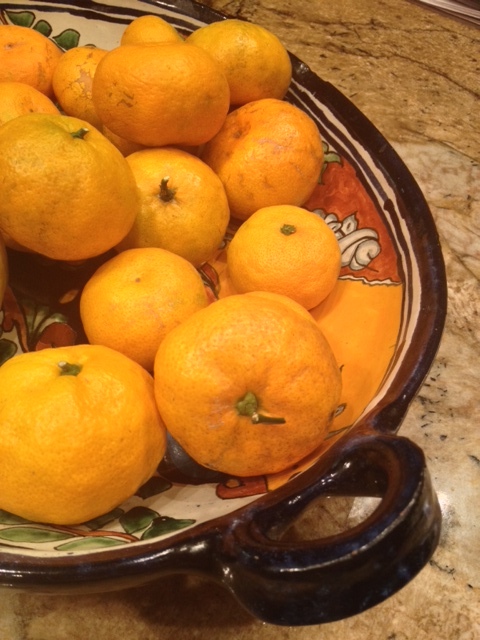 The only thing sweeter than these satsumas is Mrs. Alma. From the much-anticipated fig preserves Mrs. Debbie provides every summer to the wine and beer that accompany the Fontenot’s Friday evening porch gatherings, food and drink flow freely in my 16-house neighborhood. Sharing food isn’t out of the ordinary. When plaque paused Mrs. Helen’s heart, her neighbors quickly picked up the beat. Her home flooded with casseroles and cakes. Her husband didn’t go hungry. There’s something special about giving food to one another. It ties us together, representing thanks, concern or well wishes. It shows how much we care. In Louisiana, the kitchen is the heart of life; sharing food is equivalent of sharing love. The humid chill seeps through my sweatshirt as my friend mindlessly twirls an empty coffee cup side to side and debates the importance of graduating in four years. She misses the pointed look from a wandering barista. I guess he doesn’t feel our $3.98 pumpkin spice lattes justify a 3-hour campout. Looking around, I notice the faces haven’t changed from my 11 a.m. arrival. The blonde teenager furrows her brow as she switches from yellow to lime green highlighters. A man in wrinkled plaid and jeans drags on another cigarette, earning a glare from his middle-aged neighbor leafing though the Wall Street Journal. There’s something about coffeehouses that begs for marathon study sessions or drawn-out reunions. Maybe the fumes keep customers on an Energizer Bunny high, speaking, moving and sipping at heart-palpitation speed. Or it could be the free Wi-Fi. Fueled by comforting scents of vanilla, hazelnut and mocha, coffee shop conversations dip into uncharted territories. They form the foundation of first dates and mend bridges of lapsed friendships. Over the whirl of the coffee grinder, my friend feels safe enough to share fears of the future. Between sips, we reminisce about old memories and discuss the six months we have been apart. In the coffee shop, time stops. While miniature American versions of superheroes, pirates and princesses head home to sleep off sugar-induced comas, Latin Americans south of the border flood into graveyards with candles, skeletons and mariachis. Instead of the spooks and frights of Halloween, millions throughout Latin America celebrate the Day of the Dead on Nov. 1 and 2, a commemoration of friends and family members who have died. 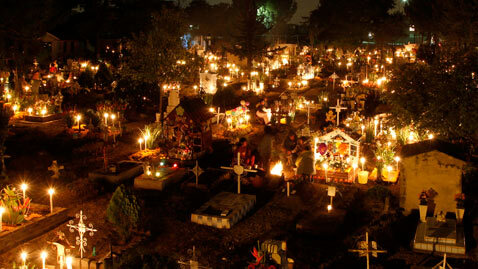 During the two-day holiday, families visit the graves of deceased loved ones to clean the tombstones and decorate the sites with bright flowers and candles. Celebrants work throughout the night. Food contributes to a carnival-like atmosphere. “There’s food vendors selling tamales and traditional candies like calaveras, or skulls made out of sugar,” Andes said. 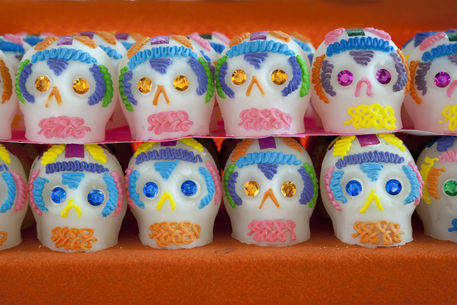 Sugar skull candies range in intricacy. Celebrants decorate the tombs and homemade altars with items that represent the deceased, Spanish professor and Costa Rican-native Lidia Byrd said. Families also make pan de muerto, or bread of the dead, to eat at the gravesites, Byrd described. The sweet bread is flavored with anise seeds and decorated with sugar and bread pieces shaped like bones, which symbolize the dead. 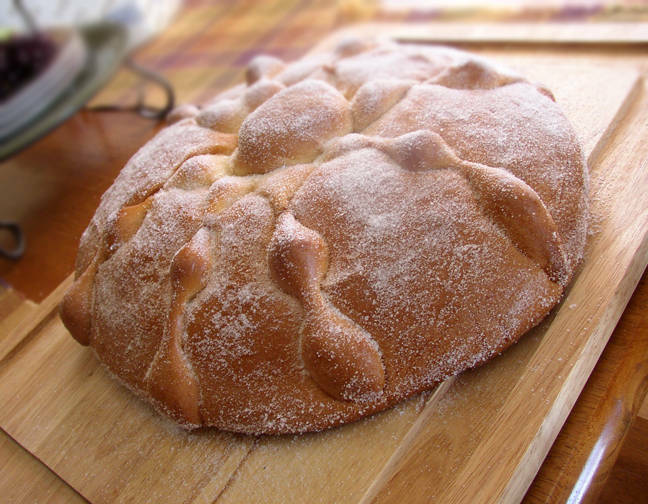 Pan de muerto is traditionally served with coffee or hot chocolate. The Day of the Dead’s emphasis on life is after death is a result of Mexican indigenous religions rather than a traditional part of Roman Catholicism. “For us, when someone dies it is a continuation of the life,” Byrd said. In an effort to obtain more Catholic converts, Spanish conquerors in the 1600s combined the Aztec celebration of the dead with the religious holidays of All Saint’s Day, Nov. 1, and All Soul’s day, Nov. 2. The result, Andes said, is a holiday that is uniquely Latin American. “I think you can see the Day of the Dead celebrates a lot more whimsical, lighthearted intimacy with death,” Andes said, contrasting the holiday to the American tradition of Halloween. I can count the number of weddings I have attended on one hand. Maybe two, including ceremonies I was young enough to witness in diapers. But countless hours of “Cake Boss” and “Ace of Cakes” taught me the importance of buttercream frosting, fondant roses and intricate piping. Everyone pays attention to the wedding cake. 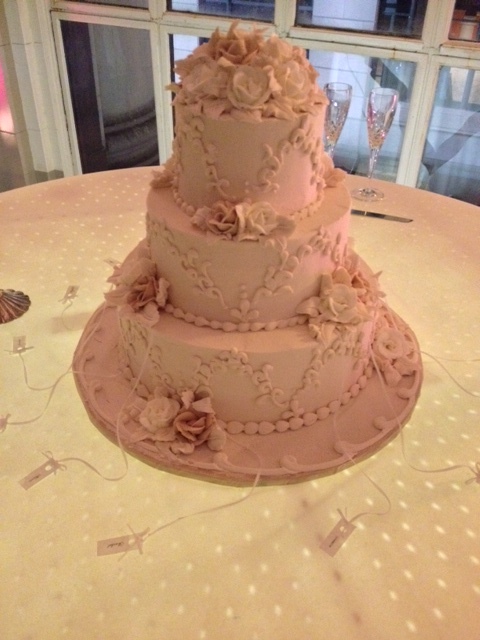 So following my oldest cousin Amanda’s incense-filled nuptial mass, I knew to keep an eye out for a white, sugary tower. The reception room pulsed with lights and body heat as Amanda and her ten bridesmaids surrounded the triple-tiered confection. Each grabbed a white satin ribbon that protruded from the cake. With varying degrees of grace, the bridesmaids pulled, revealing silver charms. Licking off the extra icing, the women held up their prizes. Everyone cheered. “What’s that?” a man who had acquainted himself with the open bar slurred. According to Southern tradition, each pull holds a special meaning. The Victorian-influenced tradition is simple: guests select ribbons connected to silver charms. 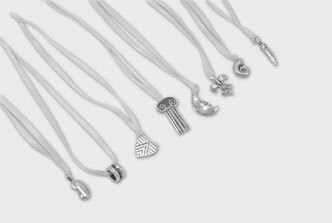 Each charm symbolizes a different meaning, from luck and prosperity to romance and upcoming marriage. Sometimes brides let guests pick at random, others select specific messages for pullers. Amanda chose the latter, which is how one bridesmaid knew the significance of pulling a fleur de lis. As the bridesmaids moved away, Amanda and her new husband took their inaugural bites, missing once and laughing continuously. Two hundred guests later, the cake was gone. Rip. Crunch. Chew. Swallow. Halloween candy disappears in mindless raze. Even the most disciplined dietitians crumble in the sugar-soaked holiday’s wake. It’s impossible to stop with just one piece. While ghosts and witches elicit screams and terror, the scariest part of Halloween lies in the bottom of pillowcases and plastic pumpkins. Seemingly innocent “fun-sized” chocolate bars and candy hold a horrifyingly high amount of fat, sugar and calories. What’s worse, the individually wrapped treats rarely include nutritional information. Instead, companies list calories and ingredients on the wholesale bags. So, before you inhale your sixth miniature Snickers, take a moment to realize what you’re putting into your body. 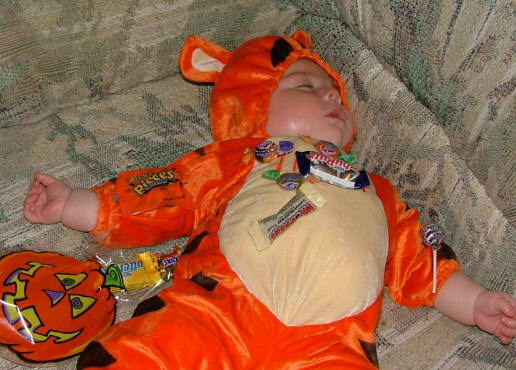 Here’s some of Halloween’s most popular candies. Information from Cooking Light. It’s a test: twelve choices of cold, creamy frozen yogurt. Staring at my options, I debate between chocolate, peanut butter, pistachio and banana nut bread. Tough decision. Seven sample cups later, I’m slightly full and increasingly torn. Pistachio it is. 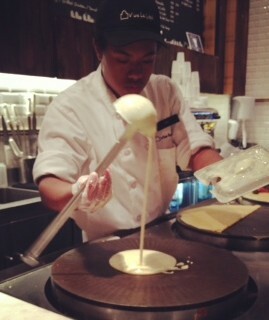 I pull the lever and pour one, two, three swirls around the bathtub-sized “cup.” It’s time to move on to toppings. 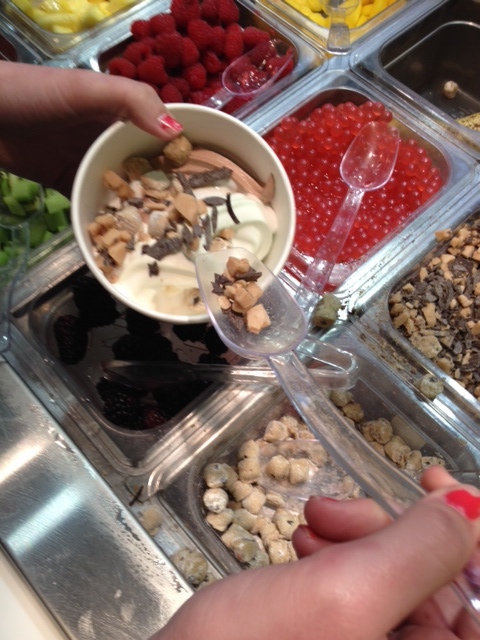 In a move half science, half artistry, I add cookie dough and chocolate sprinkles to my froyo. My sister suggests condensed milk. I acquiesce. The combination scale/cash register reveals the damage. I walk away 6 oz. heaver and $4.37 lighter. The first bite tastes heavenly; the second, just as good. But three bites into my masterpiece I hit a wall. But I keep eating. By the time I finish, I’m uncomfortable. I’ve always had difficulty with portion control. The deadly combination of eyes-bigger-than-stomach syndrome plus there’s-starving-children-in-Africa guilt created a supersized problem. 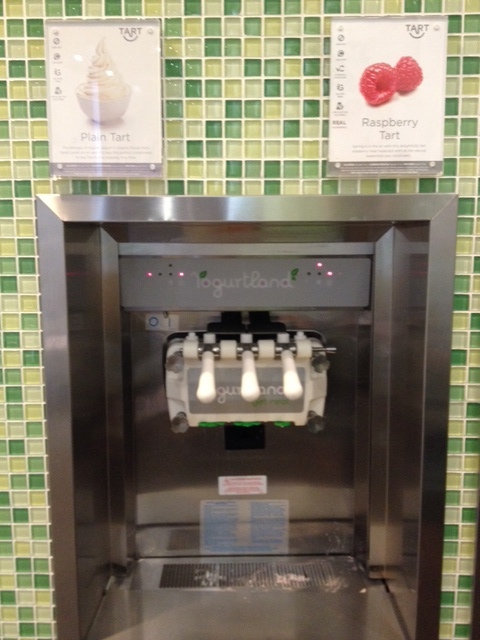 With its unlimited samples, massive cups and generous self-serve set-up, Yogurtland presents a particularly challenging environment. However, it isn’t unique. Most restaurants and fast food chains offer more than we can, and should, chew. In the past twenty years alone, serving sizes increased by more than 30 percent. Likewise, super stores like Sam’s Club and Costco fuel the portion distortion. We can buy more, so we do. Curbing our appetites can be difficult, but it’s possible. Taking the time to consciously eat and enjoy each bite keeps us from overindulging. Maybe if we prioritize quality over quantity, it will make eating a little sweeter. Rumbling thunder and sheets of rain clear the Red Stick Farmer’s Market as Karen makes a bumbling, halfhearted entrance. Sodden patrons dart from tent to tent, determined to scoop the freshest gourds and goat cheese. Vendors entrench themselves into Walmart folding chairs. Frances Chauvin slowly counts her pies – blueberry, Granny Smith, pumpkin, coconut, cushaw – each sealed in store-brand bags. The 81-year-old turns to restock her dwindling display of shoe soles, crispy cinnamon and sugar-dusted pastries. Business was brisk before the rain. Chauvin perks up as a woman emerges from the deluge. Without hesitation, she asks for pecan. It is a wise choice. “It’s for my momma and daddy,” the woman says as Chauvin bends down for a plastic bag. The customer describes how she makes every meal for her 86 and 87-year-old parents. Her eyes seem moist. It could be the rain. Drops of water from the tent ceiling distract Chauvin. Her pies are in danger. A neighbor uses a bamboo pole to push the pockets of water over the edge of the tent, creating temporary waterfalls. Before Chauvin can ask for help, he walks over. She gives him a thank you shoe sole. The rain slacks as a middle-aged man toting a toddler walks up to Chauvin. 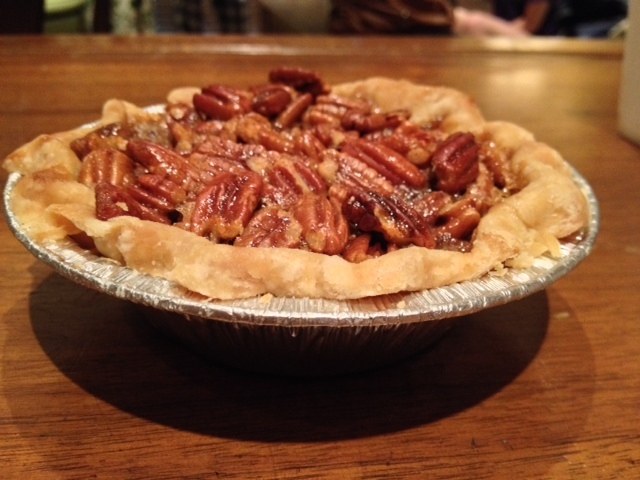 She smiles and hands him a pre-bagged pie. The pair walks off into the rain, the little boy stopping to step in each puddle.